You’re going to Ziro? Er...Is it a place? Where exactly is it? These were some common questions I answered before venturing to this remote valley in Eastern Himalayas. Making my way from Lakhimpur in Assam to Arunachal Pradesh, I noticed several changes–plains give way to a hilly terrain, the temperature drops, the crowd shrinks to a few people, the air is cleaner and an awe-inspiring landscape emerges with a variety of ferns, orchids and rhododendrons growing in the wild amidst dense green forests. After a six-hour-long, rickety yet picturesque ride we reach Ziro’s main town, Hapoli. It is small, but busy with government offices, schools, shops and the valley’s lone ATM. 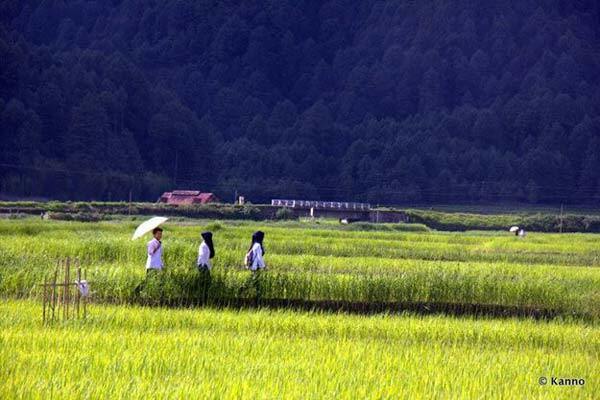 It’s also the best connecting point to the rest of Ziro and Arunachal. We hop into a cab and head to the interiors to stay with our Apatani hosts in Hong village. An almost deserted village, comprising dense settlements of bamboo houses, greeted us. It was eerily quiet, until I suddenly noticed children playing around a hole-in-the-wall grocery store with an Aircel signboard.Hong was a sharp contrast to Hapoli, which had more modern structures and a busy lifestyle. Our host led us through the village on foot and then to her modest home. Apatanis, Ziro’s tribe, are among the few in the world to worship the sun and moon, and are famed for their unique, sustainable farming and social forestry. Their farmlands are built on flat lands, on which they not only cultivate rice, but also breed fish. How? By creating separate pond-like plots for the fish on the rice fields. Even the elevated partition of these plots are utilised–millet is grown on them. No farm animals or machines are used for ploughing fields. Their farms are small and uniquely marked with efficient channels and canals for irrigation. The forest they have successfully conserved, now serve as water sheds from which streams flow to the fields, aiding irrigation further. Using traditional methods Apatanis have accomplished what modern machines and systems haven’t been able to. This April, the Apatani Cultural Landscape made it to the tentative list of UNESCO World Heritage Sites for “extremely high productivity” and “unique” way of preserving ecology. But modern influence and education has led to youngsters losing interest in cultivation. The jobs they want are not available in the valley, pushing them to move to metros. Infrastructure is another big problem facing Ziro. While the villages are clean, filth surrounds urban areas. A good drainage system and local municipal body is urgently required for cleanliness and sanitation. NGOs like Ngunu Ziro are working towards various issues, but a lot more can be done. While the nearby villages of Hari and Siiro are gradually moving towards brick and mortar structures, most of Hong’s houses, like our host’s traditional one, are perched on vertical wooden stilts. 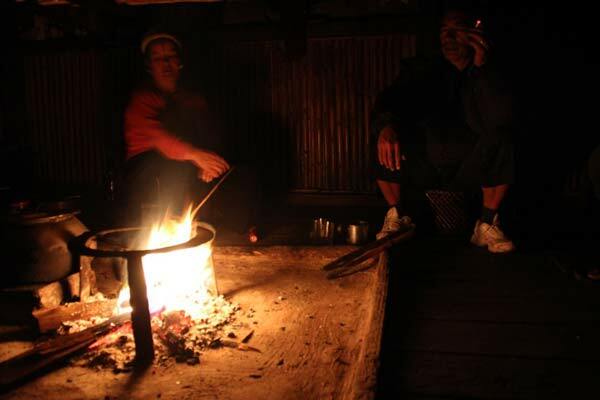 The centre of an Apatani house not only serves as a kitchen, where food is cooked over flaming wood, but also as a place to have discussions, which range from environmental conservation and politics to music and their custom of love marriage. It’s also the place to watch TV, play music and simply spend quality time with each other. 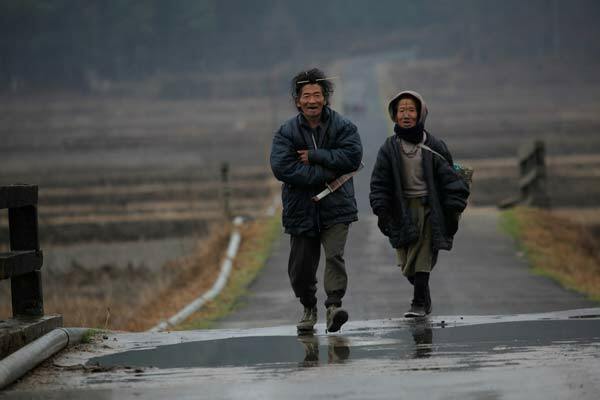 By 5 am the adults leave for their farms, after finishing their morning chores, and children head to school. Being in the east means that the sun can set as early as 4.30 pm, depending on the time of the year. By late evening the entire village comes to a halt. Villagers take a stroll, a few women weave traditional outfits and post sunset, people visit friends and neighbours. Guests are served home-made rice beer with special Apatani salt called Tapyo, made from the ashes of certain indigenous plants. When iodised salt wasn’t available, Tapyo saved Apatanis from goitre, a great concern among other tribes living nearby. During the month-long Myoko festival celebrated in March, guests are welcome all day and all night. Every year, on a rotation basis, a few villages host this festival. All homes of host villages are open 24 x 7. Just about anybody can walk in, enjoy rice beer and local delicacies. It’s time to celebrate friendships and make merry. The Apatani cuisine revolves around rice, accompanied by meat, boiled vegetables and delicacies cooked with bamboo shoot. They don’t use spices, but green chillis finds their way in every meal. During the festival, meat is hung outside the house; visitors can cut a piece, roast it over the fire in the centre of the house and eat it with some seasoning. Celebrations include sporting events, singing competitions and stage shows too. Foreign tourists outnumbered Indian ones and the village women with nose plugs and tattoos running from their forehead to their chin were the most clicked. Due to modern influence the youngsters neither wear traditional clothes nor sport tattoos and nose plugs. Ziro has festivals and rituals all year round–during Murung in January people pray for wealth and good health, during Dree in July they sacrifice animals for protection from famine. And in September prominent artists from India and beyond congregate for live gigs during Ziro Festival of Music. Despite its share of problems, Ziro is the perfect place to experience peace and serenity and witness the successful co-existence of man and nature. (Tata Sumos) from Guwahati, Itanagar and North Lakhimpur. Guwahati Airport is the nearest. Visit Talle Valley Wildlife Sanctuary, hike for amazing views to Dolo Mando, fish at Tarin Fish Farm, go on butterfly, bird watching and agriculture trails with Ngunu Ziro and enjoy nature’s bounties at Pine Grove and Bamboo Grove.